1 Heat olive oil in 12-inch skillet over medium-high heat and brown turkey. Add onion and red pepper and cook, stirring occasionally, until vegetables are tender, about 2 minutes. 2 Stir in water, Knorr® Roasted Turkey gravy mix and cumin and cook, stirring frequently, until turkey is thoroughly cooked, about 4 minutes. Stir in hot pepper sauce and cilantro. 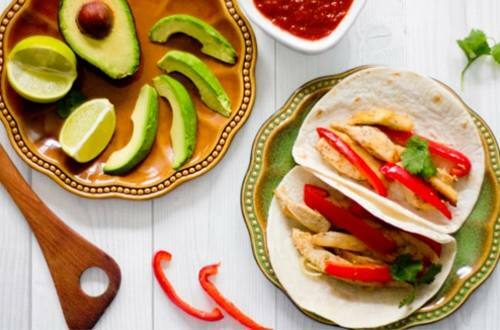 Serve with warm tortillas and your favorite fajita toppings.